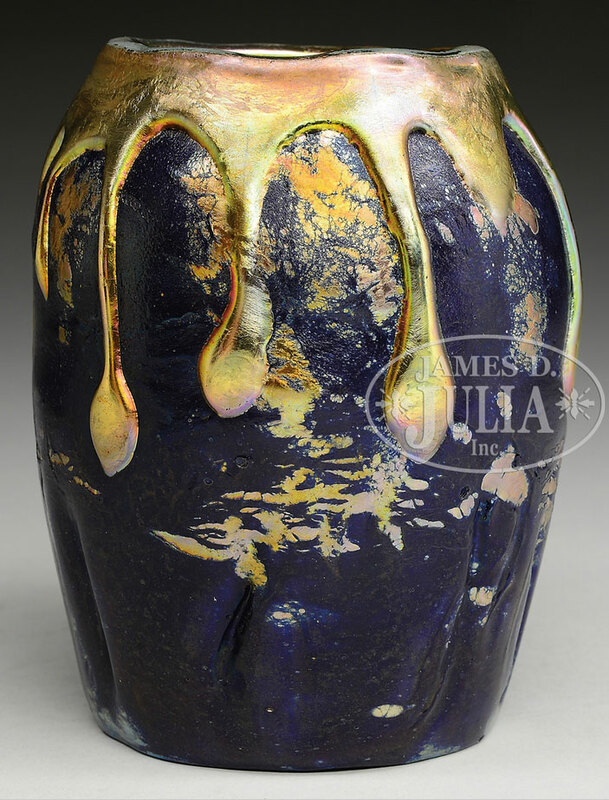 James D. Julia, Inc. held their Lamp and Glass auction on June 11th & 12th, 2014. It was a huge two-day sale with 1418 lots crossing the block, and sales of $2.3 million. Some areas showed strength and others weakness, with two private collections performing very well. The first collection was the Betty and Leonard Issod collection of Wedgwood Fairyland Lustre. 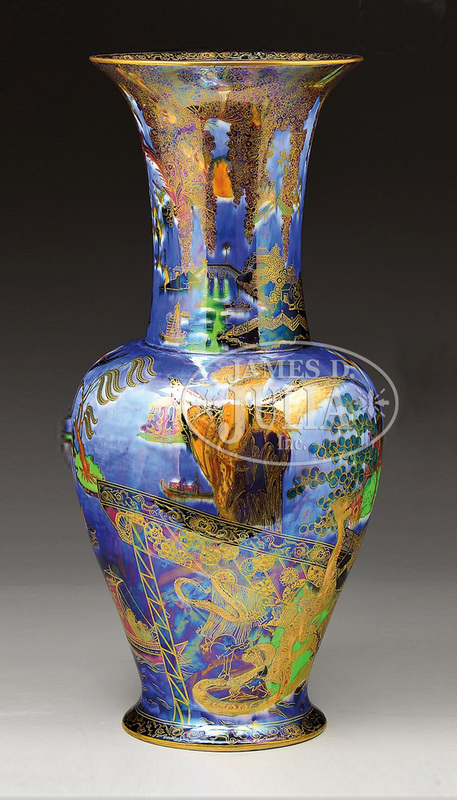 Top lot of this group was #1254, a 24″ Lustre Dragon King vase — the largest known example. It sold near its high estimate of $60,000, realizing $74,062.50, including buyer’s premium. 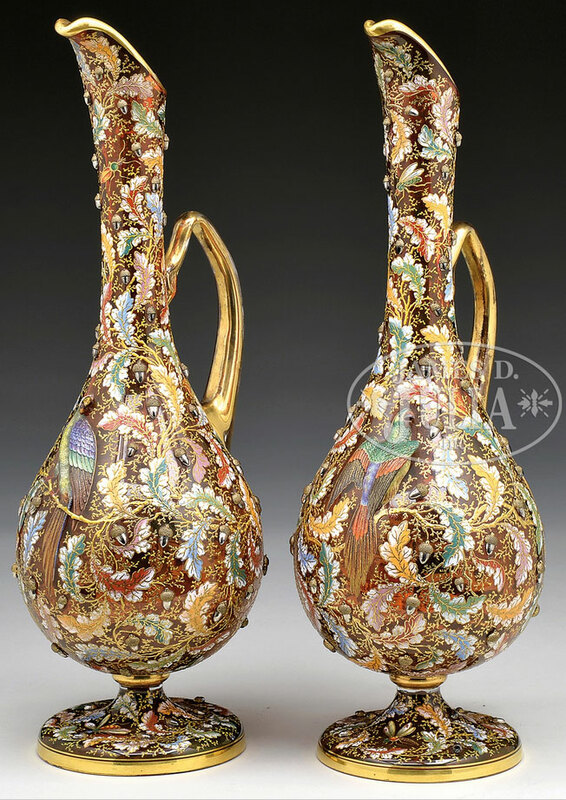 The top lot of the George Klabin collection of Moser glass was #1035, a pair of decorated ewers. Even with a crack to the handle of one of the ewers, the lot almost doubled its high estimate of $10,000, realizing $20,737.50. Three French glass lots tied for the top price of $15,405 (excluding R. Lalique) — #2000, an Argy-Rousseau pâte-de-verre Poppy vase; #2082, a Daum Nancy Winter scenic boudoir lamp; and #2083, another Daum Nancy Winter scenic boudoir lamp. Lots #2462 and #2560a shared the spotlight for the highest price realized by a Tiffany Favrile vase — $14,220. #2462 was a lovely Lava example, with a hairline crack that was probably original to the making. Lot #2560a was a Paperweight example with white jonquil flowers. 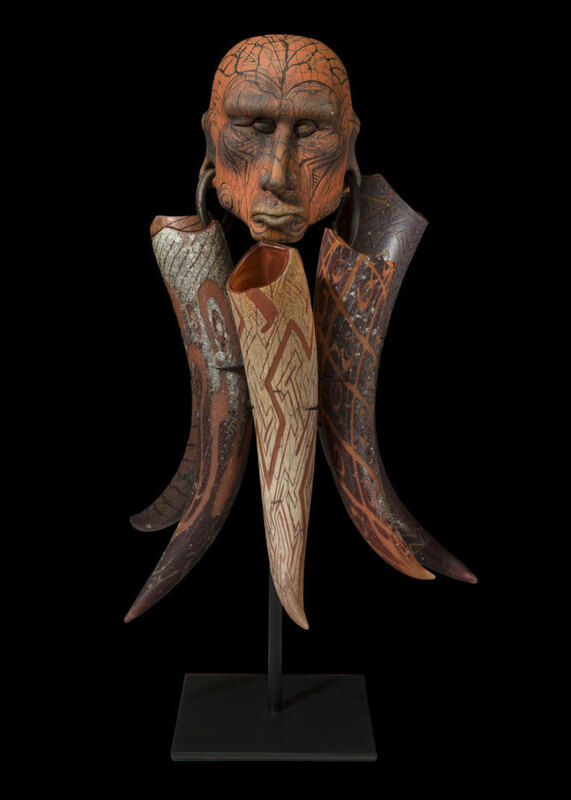 Bonham’s New York held their 20th Century Decorative Arts auction on June 10th, 2014, a day ahead of Sotheby’s and two days ahead of Christie’s. 227 lots crossed the block with 100 failing to sell, for a sell-through rate of 44% — less than Sotheby’s sell-through rate of 66% and Christie’s sell-through rate of 67%. Bonham’s did not post total sales. 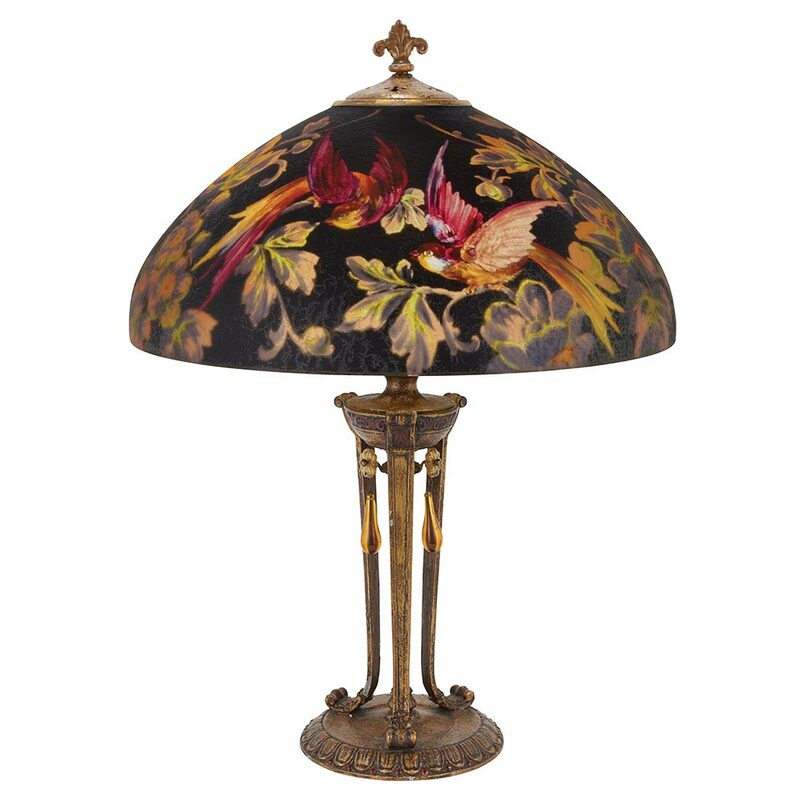 Top dog of the sale was a beautiful 24″ diameter Tiffany Studios Laburnum table lamp. It sold for $425,000, including buyer’s premium. The last lot of the sale sold for the second highest price of the sale — a 31½” contemporary cast glass and steel mount by William Morris, entitled Laibon Man from the Man Adorned Series of 2001. It sold for $100,000, including buyer’s premium. Christie’s New York held their Important 20th Century Decorative Art & Design sale on June 12, 2014, a day after Sotheby’s. Christie’s sale was much larger, with 309 lots offered. Of those, 103 did not sell, for a sell-through rate of 67%. The sale totaled $5,954,500, for an average of $28,905 for each lot sold. Sotheby’s sell-through rate was 66%, with an average of $53,290 for each lot sold. 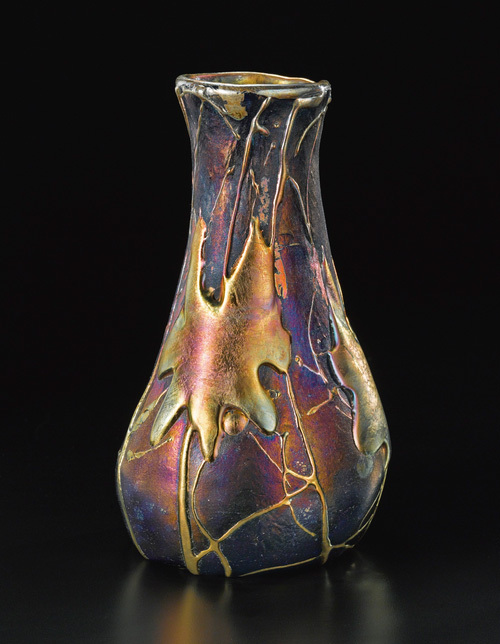 Christie’s sale was much less reliant on Tiffany Studios than Sotheby’s. 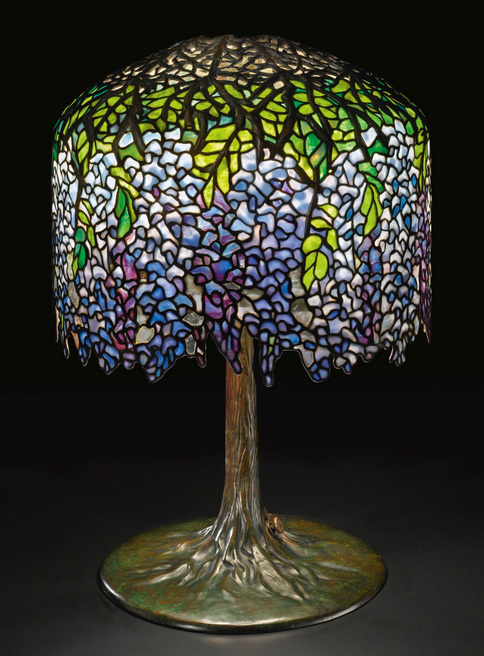 However, the top lot of the Christie’s sale was a Tiffany Studios Wisteria table lamp, lot #15. It sold near the high estimate of $350,000, realizing $437,000, including buyer’s premium. 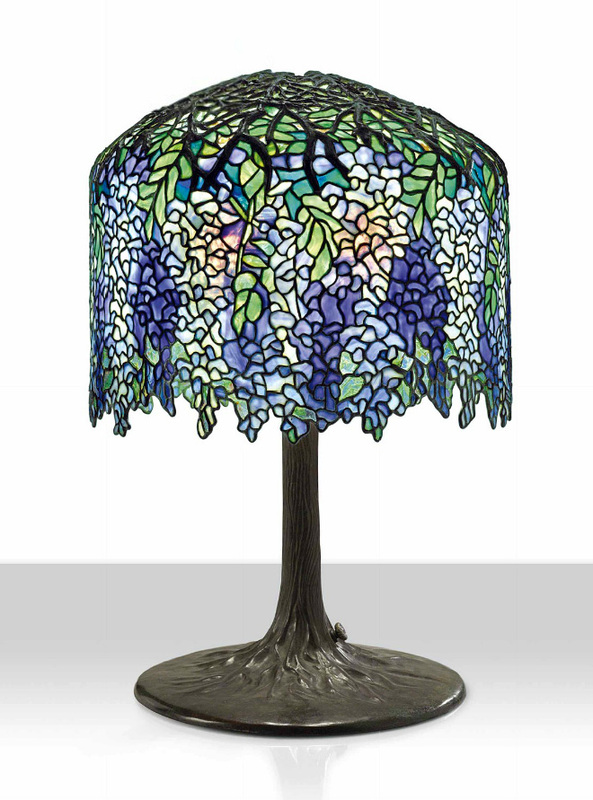 The previous day, Sotheby’s sold a Wisteria lamp of similar quality for $575,000. The second highest price of the sale went to Emile-Jacques Ruhlmann. 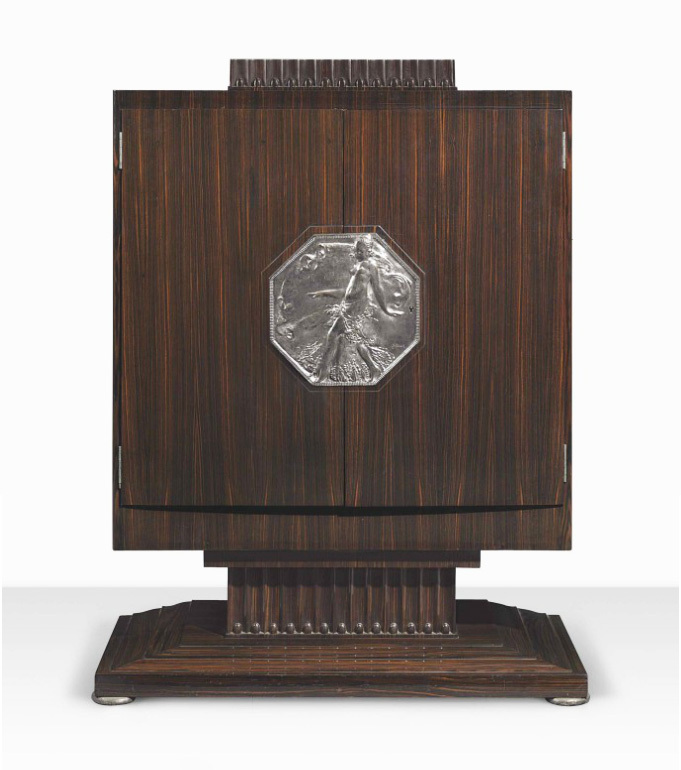 Lot #107 was a 1926-27 cabinet entitled A ‘Meuble à Fards. It sold within its estimate of $200,000 – $300,000 realizing $281,000, including buyer’s premium. The top-selling French cameo glass lot was #31, a rare Daum Nancy Penguin vase. It more than doubled its high estimate of $7,000, to realize $18,750, including buyer’s premium. 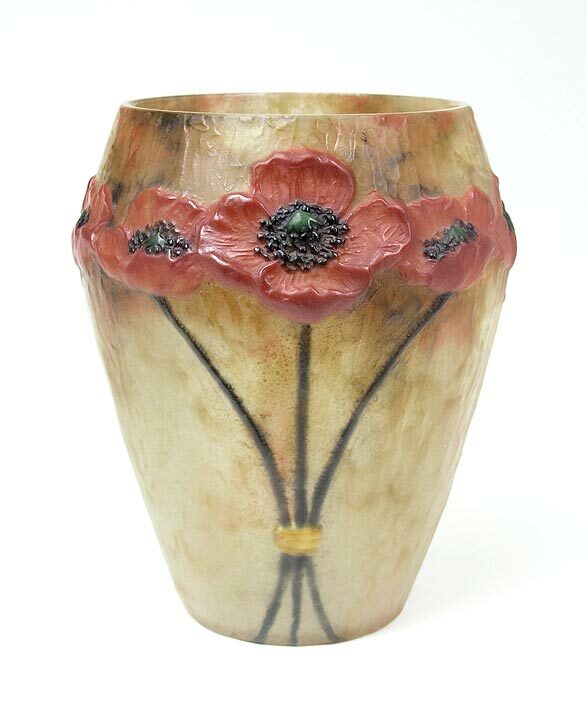 I would have loved to have bought this vase, but the price realized was the full retail price for a 6¾” example. This A. Walter pâte-de-verre sculpture is coming shortly. 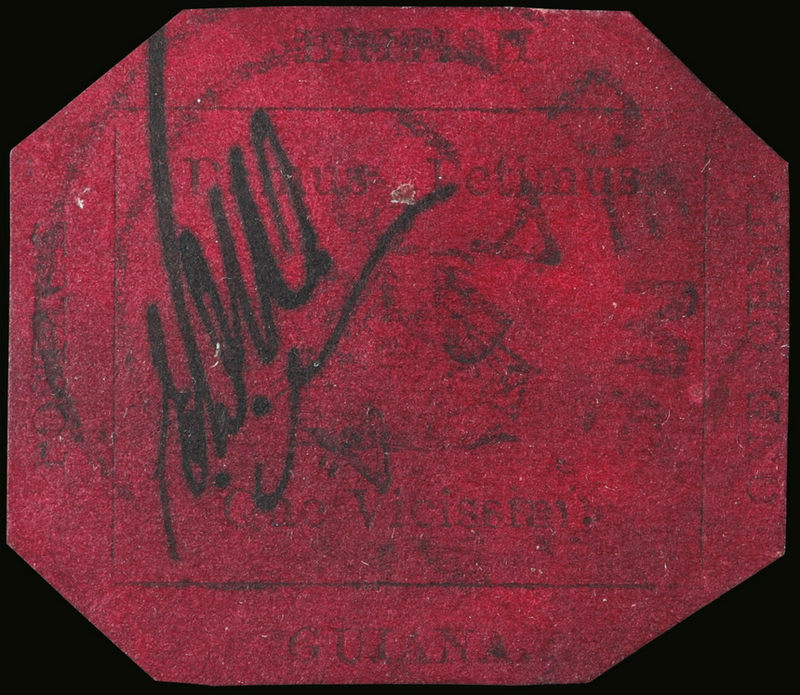 Sotheby’s New York held a single-item sale of the the British Guiana 1856 One-Cent, Black on Magenta stamp. Estimated to sell for $10,000,000 – $20,000,000, it went out the door at $9,013,000, including buyer’s premium, to an anonymous phone bidder. It set a new world record for any stamp, but had to be disappointing to Sotheby’s, selling below the low estimate. The stamp was sold by the estate of the late John du Pont, a convicted murderer and heir to the du Pont chemical fortune. Mr. du Pont died in prison in 2010 at the age of 72 while serving a sentence for the shooting of David Schultz, a champion U.S. wrestler, in 1996. An avid philatelist, du Pont purchased the British Guiana 1856 One-Cent stamp at auction for $935,000 — a world record in 1980. Prior to that, the stamp sold for $280,000 at auction in 1970 (a world record) and prior to that, $40,000 in a private sale in 1940 (also a world record). To access Sotheby’s directly for the results of the sale, click here. June is Decorative Arts Month, so the next several blog posts will cover the action at all the major and some of the lesser auction houses. Sotheby’s will be first. Thursday’s post will cover the result of the single-item sale of the world’s rarest stamp, the 1856 British Guiana 1-cent. Christie’s 20th Century results will be posted next Monday, with Bonham’s, Julia’s, Rago’s and others following. 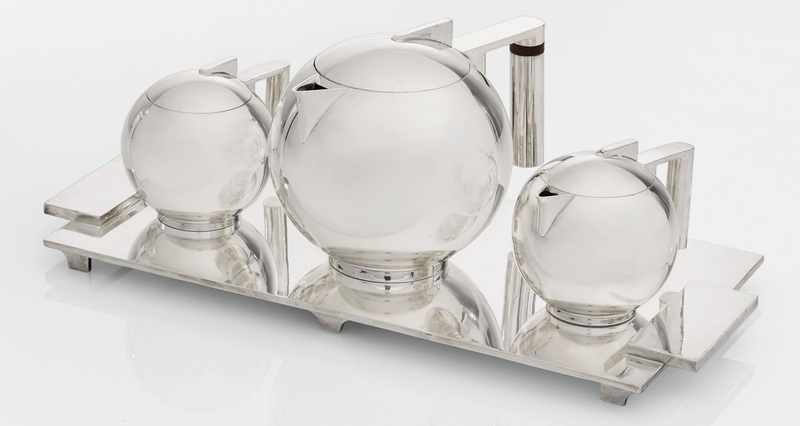 Sotheby’s New York held their Important 20th Century Design sale on June 11, 2014. 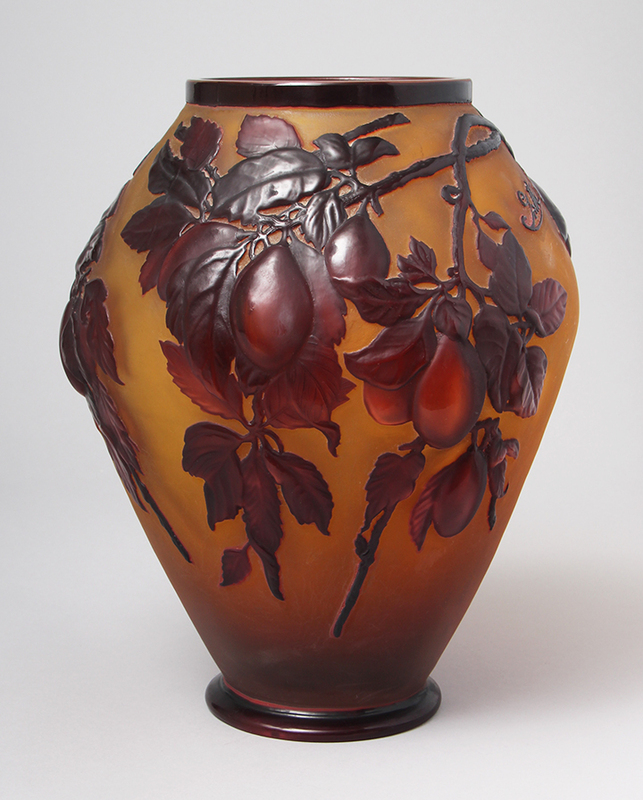 Included in the sale was an important collection of American art glass, including Tiffany Favrile, from the Estate of Dr. Edward and Helen McConnell. Of the 127 lots offered, 29 were from the McConnell Estate. 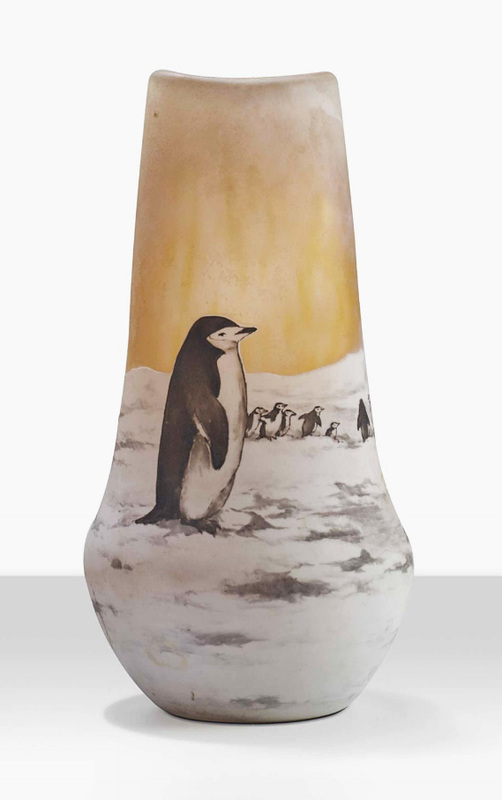 100% of the collection sold, with most of the vases easily exceeding their high estimates. Of the remaining 98 lots, only 55 sold, for a sell-through rate of 56% for the non-McConnell items. The sale totaled $4,476,376, for an average of $53,290 for each lot sold. The top selling lot of the McConnell Estate was no surprise. 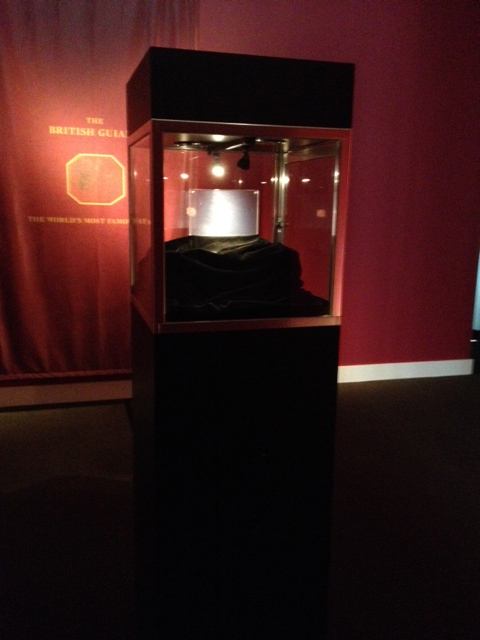 Lot #12 was a superb example of Tiffany Favrile Lava glass. It soared past its estimate of $75,000 — $100,000, to sell for $197,000, including buyer’s premium. 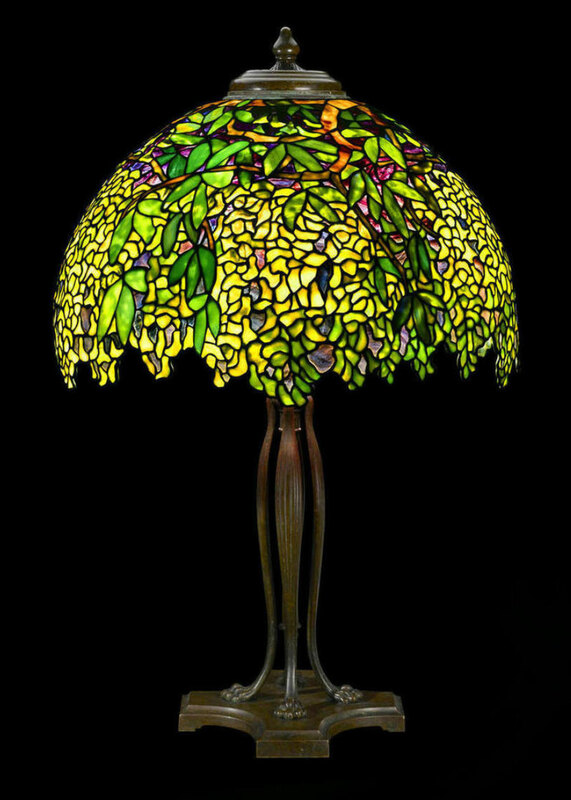 Neither was the top selling Tiffany lamp of the sale a surprise. Lot #44 was a nice example of the Wisteria pattern. It sold within the estimate of $300,000 — $500,000, realizing $575,000. The second highest price of the sale went to an important Paul Lobel silver-plated coffee service. It realized $377,000, against a pre-sale estimate of $200,000 — $300,000. Considering the set wasn’t even sterling silver, the price was impressive, but again not a surprise. Have a spare $10,000,000 – $20,000,000? 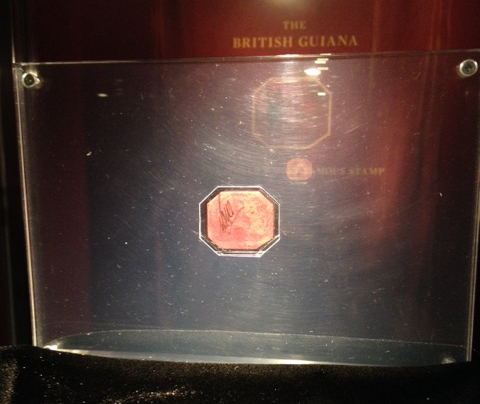 On June 17, 2014, Sotheby’s New York will give you the opportunity to buy the rarest and most famous of all stamps — the British Guiana 1856 One-Cent, Black on Magenta. I won’t bore you here with the details of its history, but you can click here if you’d like to read more. What I will tell you about is what you won’t read elsewhere — the exhibition itself. The stamp is small, as most stamps are, approximately 1¼” x 1″, and will be sold all by itself, in a single-lot sale. So how do you sell one tiny piece of paper, that doesn’t look like anything to a novice, all by itself? You have to surround it with a big and impressive display. So the first thing you encounter at the exhibit is a huge sign, as tall as a person — THE BRITISH GUIANA, THE WORLD’S MOST FAMOUS STAMP . Behind that, in a darkened room, sits the tiny stamp, illuminated in a giant display. It’s all very amusing, trying to make the stamp look important. But how else could it have been done? I give them an A for effort, but a B- for execution. I’m not sure what I would have done differently, but it wouldn’t have been the same. Unfortunately, they didn’t consult me. What’s wrong with them? I’ll post the results in a blog after the sale. It will surely set a world record, as it has the very few times it’s been sold previously at auction. Each time was a world record. My goal is to publish new posts twice a week — Mondays and Thursdays. However, if you don’t see a new post on Thursday, it’s because I was too busy, so please look for a new one the following Monday. 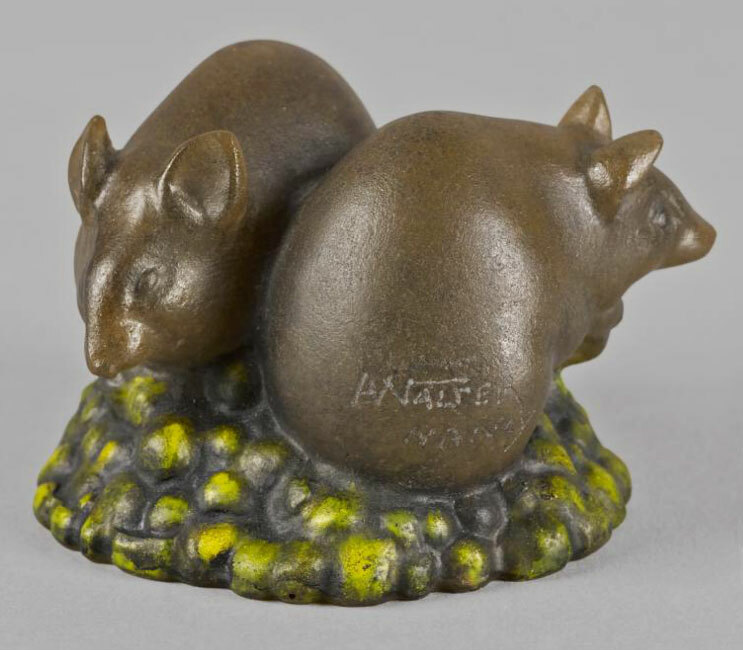 Doyle New York held its Belle Epoque 19th & 20th Century Decorative Arts sale on June 4, 2014 with unremarkable results. Every auction house is dependent on what it gets offered to sell. This time around, Doyle was unable to obtain any exceptional merchandise, which showed in the results. 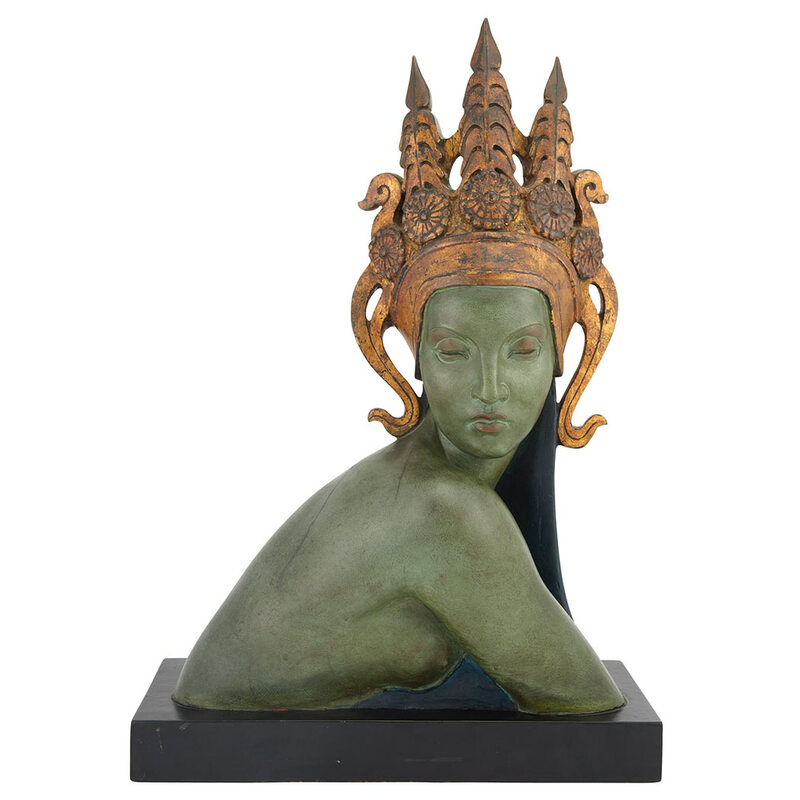 Only one item exceeded $15,000 — lot #85, a polychromed and gilded wood sculpture entitled The Temptress of the King, which sold for $21,250, against a pre-sale estimate of $3,000 – $5,000. Personally I wouldn’t have bought it for any price, but luckily for the consignor, my opinion does not count. Only a handful of items exceeded $10,000, with many selling for under $2,000. I was able to scoop up one of the bargains of the sale, a gorgeous Handel reverse-painted Bird lamp on a black background. It sold for $8,125, against a pre-sale estimate of $5,000 – $7,000. 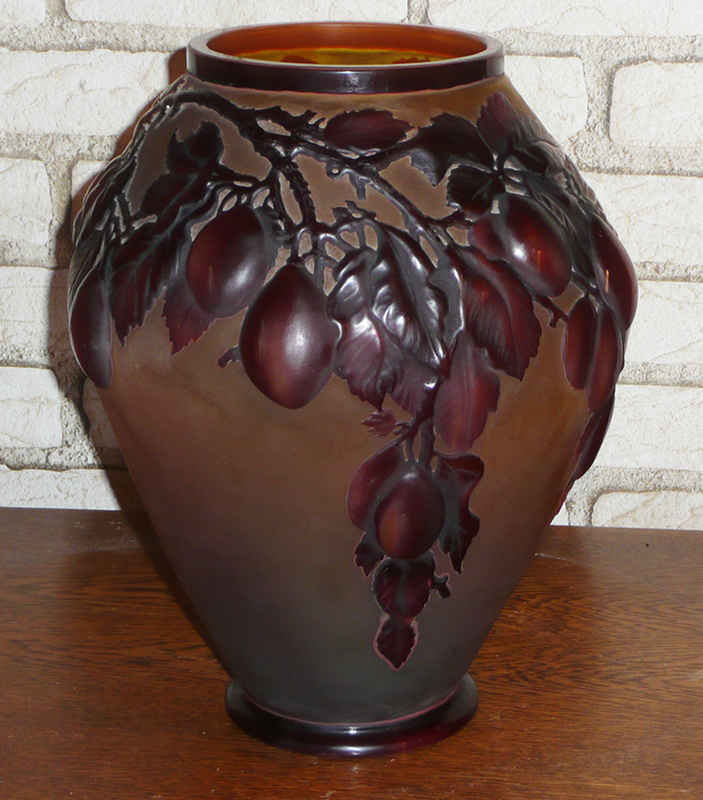 The inside cover lot, #430, was a beautiful 14½” Amphora portrait vase, decorated by Reissner, Stellmacher & Kessel. It sold for the low estimate of $6,000 ($7,500 with buyer’s premium). I suspect the big chip on the foot rim was responsible for the relatively low price. For the complete results of the sale, click here. My goal is to publish new posts twice a week — Mondays and Thursdays. However, if you don’t see a new post on Thursday, it’s because I was too busy, so please look for a new one the following Monday. There was no post this past week as it was time for a week’s vacation. 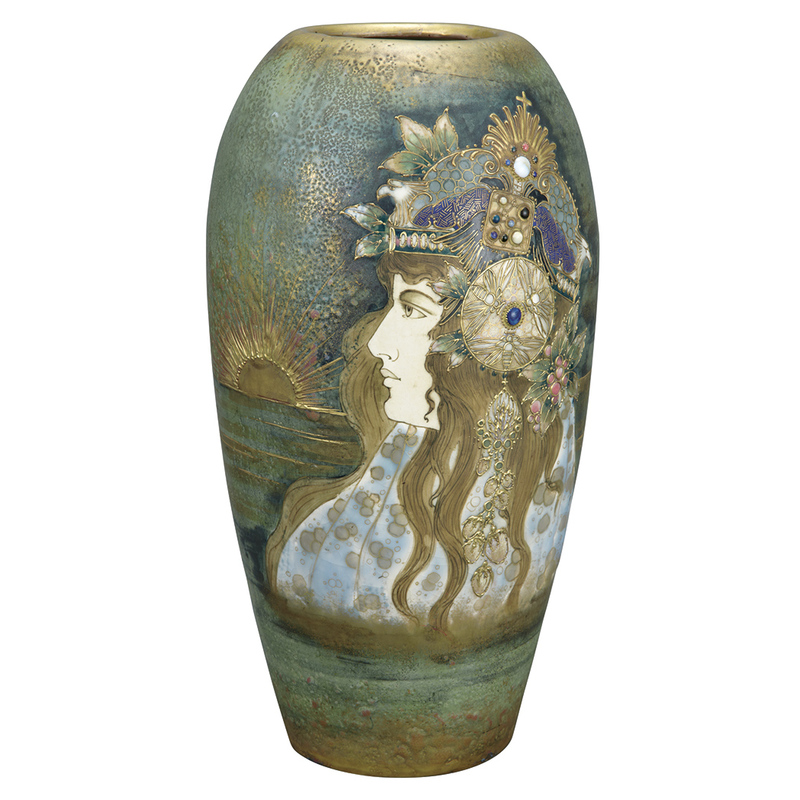 Sotheby’s Paris conducted its Arts Décoratifs du XXe Siècle & Design (20th Century Decorative Arts & Design) sale on May 22, 2014, with total sales of $3,969,663. 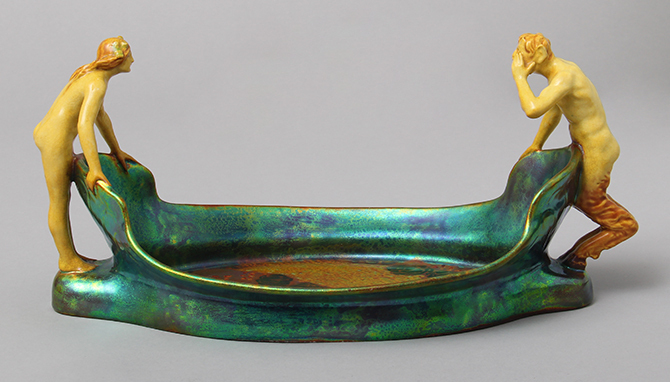 Included in the sale was an Italian, one-owner, collection of Gallé glass and other objects, collected from 1960-1980. Unfortunately, the collection was estimated too aggressively, so 18 of the 42 Gallé items did not sell. Several lots by Diego Giacometti topped the sale, with another by Jean Royère also doing very well. 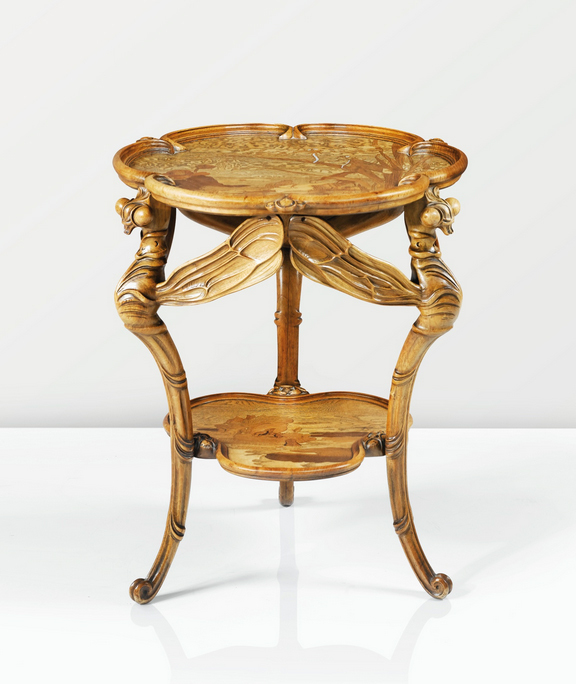 Top lot of the Gallé collection was a rare and desirable piece of furniture — a hand-carved and marquetry Dragonfly table. Estimated to sell for €25,000 — €35,000, it exceeded its high estimate, realizing €49,500 ($67,489), including buyer’s premium. The top lot of the sale was a floor lamp base by Diego Giacometti, entitled Grande Feuille, from 1933-34. Selling without a shade, it still doubled its estimate of €100,000 — €150,000, to realize €361,500 ($497,037). 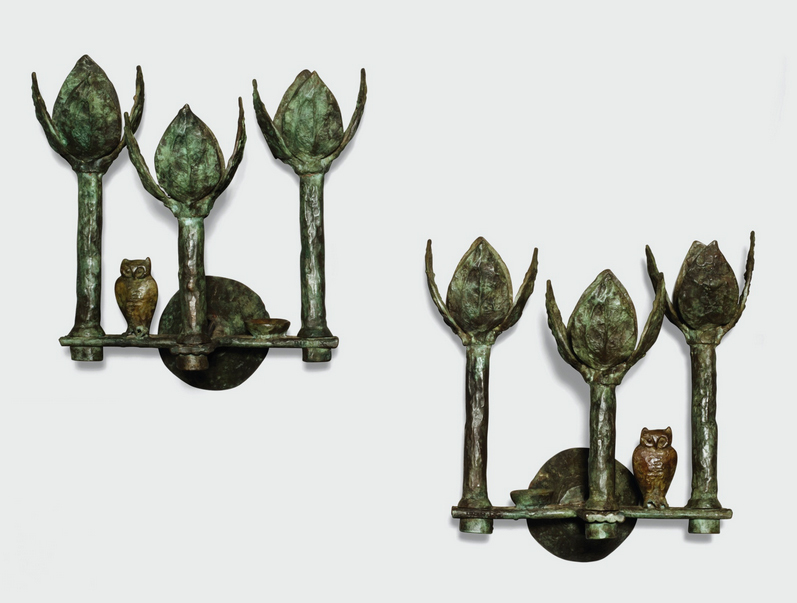 The second highest selling lot of the sale was also by Diego Giacometti, a 1968 pair of wall sconces. They sold within the estimate of €140,000 — €180,000, realizing €205,500 ($280,180), including buyer’s premium — a nice chunk of change for a pair of sconces. Giacometti items are very much in demand and consistently realize strong prices at auction.